Focus: To obtain some basic financial literacy skills so that you can understand the language of business. Money. This lesson will help you understand how managing your finances affects your business success. You will also learn the difference between assets and liabilities and you'll have access to a PT Earnings Template to start organising your money and figure out your balance. ​Educating yourself on how money works is essential to become financilly independent and to run a profitable business. If you use money with purpose as a tool to help you achieve your business goals instead of just going with the flow, you can see the differennce within a short period of time and set yourself up for success for life. Finance is scary. For most personal trainers it’s either a job they outsource to an accountant or a shoe box of receipts from 5 years ago hidden under their bed. If the thought of managing your money is scary, frustrating or confusing, take a sigh of relief in knowing that not only do most other trainers feel the same way but so do most other business owners in all industries. Managing your money is not something you learn about in school. 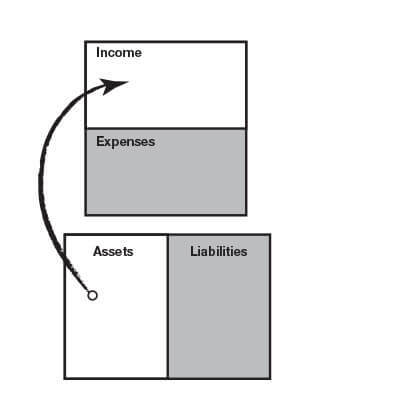 School doesn't teach you how to manage a balance sheet, how to create assets or control your liabilities. In fact, once you leave school and get your first job, you’re pretty much left to your own devices. It’s for this reason that everyone has different attitudes towards money, conflicting ideas and usually a lot to learn. ​Learning how to manage money might seem pretty intimidating (and boring) but it’s actually very simple. If you can understand a few key concepts you’re good to go. But first, let’s look at your attitude towards money. Most personal trainers and business owners often assume there is a correlation between how much money you make and how much self worth you have. Of course, we know this isn’t true but it’s hard to see the PT on Facebook bragging about making $5,000 while you’re still trying to make your first $100. We create a relationship with how much we make and how much value we offer. So let’s be clear, money measures the success or failure of your business activities, but it’s not who you are. To become financially intelligent you need to understand that accounting is the language of business. 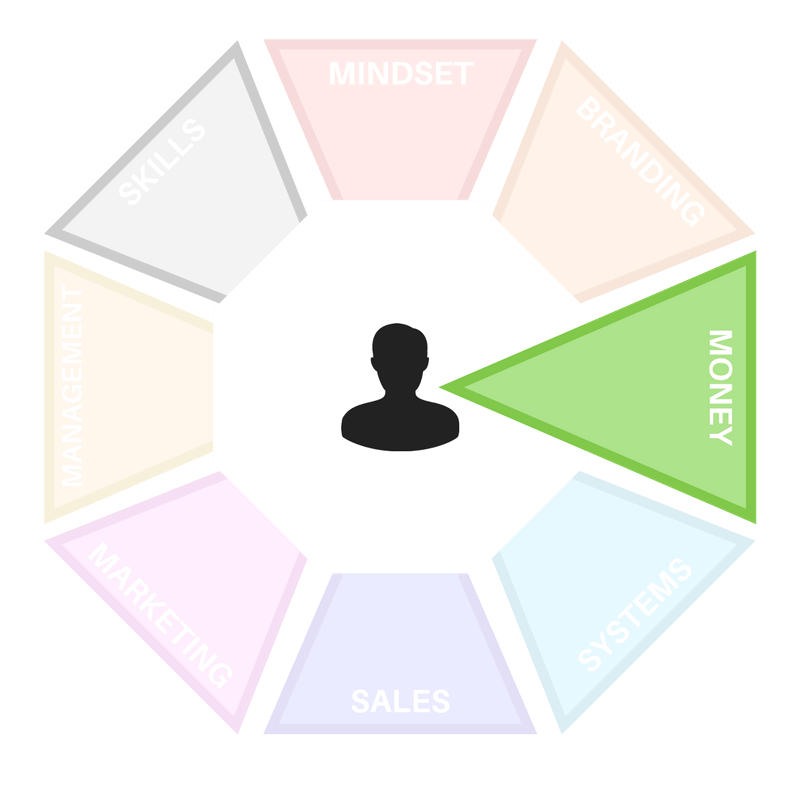 If you are not interested in learning about the language of business, you should not manage a business. 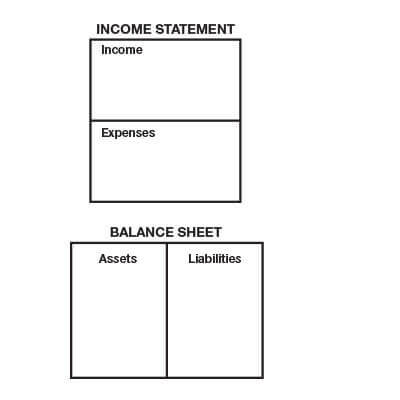 One of the most important things you need to know in order to be financially literate is how to read an income statement and balance sheet and the relationship between them. In this diagram, we have a $100,000 house where someone has put $20,000 cash down and now has an $80,000 mortgage. How do you know if this house is an asset or a liability? Is the house an asset just because it is listed under the asset column? The answer is of course no. 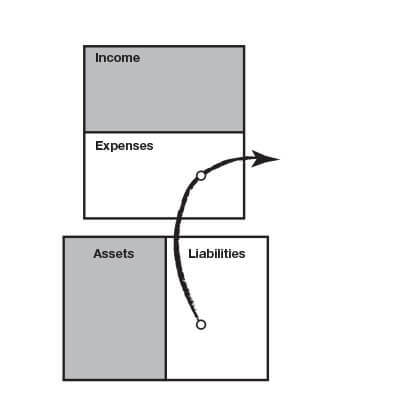 In order to know for sure, you would need to refer to the income statement to see if it was an asset or a liability. 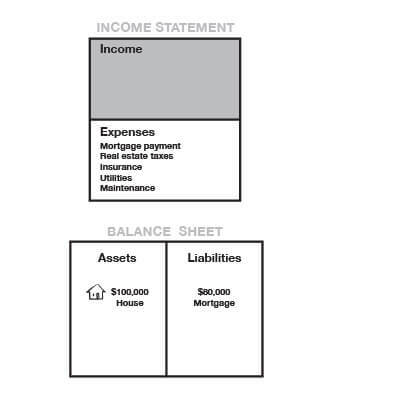 As you can see from the income statement, this is a house that is a liability. You can tell it is a liability because it’s only line items are under the expense column. Nothing is in the income column. The house is not making any money. It’s costing money. But now let’s imagine we rent the house to a tenant and we now receive a rental income. Very simply, if the rental income of the house, minus the expenses of the house, equaled positive net rental income, the house is an asset. If not, it is a liability. These simple lessons are profound. And they are the basis for building all great wealth. Download the PT Earnings template below and list all of your monthly assets and liabilities. Go to page 2 of your Money Lane Workbook and answer the questions.